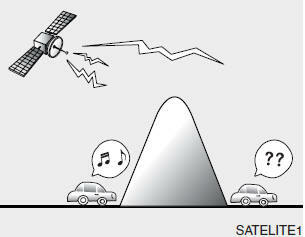 You may experience problems in receiving XM™ satellite radio signals in the following situations. 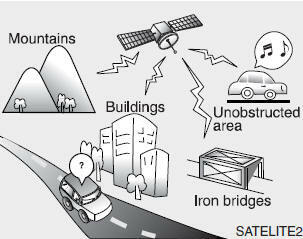 • If you are driving in an area with tall trees that block the signal(10m or more), for example on a road through a dense forest. Please note that these may be other unforeseen circumstances when there are problems with the reception of XM™ satellite radio signal.